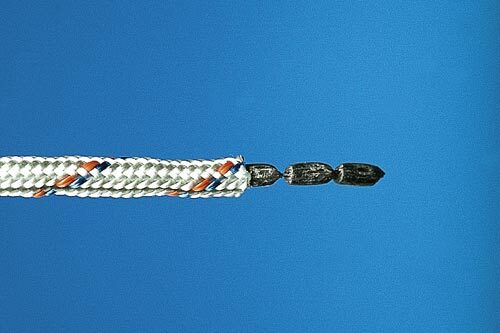 Le cordage cablé flottant est fait pour la pêche aux grandes profondeurs et vous offre haute résistance et lonque durabilité. Standard leadline is used in many different fishing tools. This type is e.g. used for sole nets and further also for plaice and flounder nets. PP leadline is the most used leadline in our assortment. Just like our other leadlines it is manufactured in Estonia. 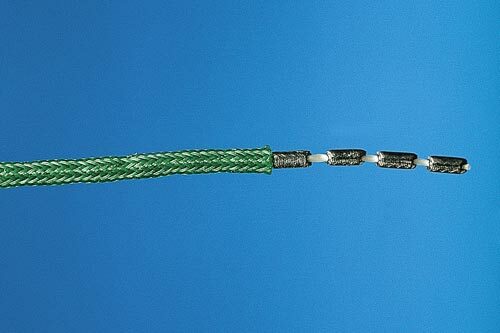 The PP leadline consists of two parts. 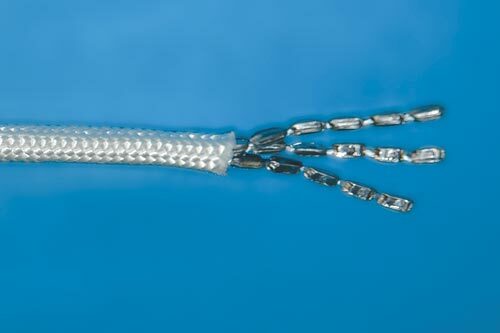 The inner part made of segmented lead and the outer stocking which is a braided polypropylene line. All parts are made in our own factories. Polypropylene is very suitable for mounting on fishing nets, since the material does not shrink. The leadline has high wearing qualities and is available in standard sizes from 1.7 kg to 20.0 kg per 100 meter. Hau blyline er en alsidig polyester blyline med stor brudstyrke. Hau leadline is a versatile polyester leadline with high breaking strength. The leadline is used for many kinds of fishing nets. The leadline is extremely efficient, with high wearing quality and flexible when fishing with cod nets, turbot nets and other such fishing gear on rock banks and similar rough grounds. 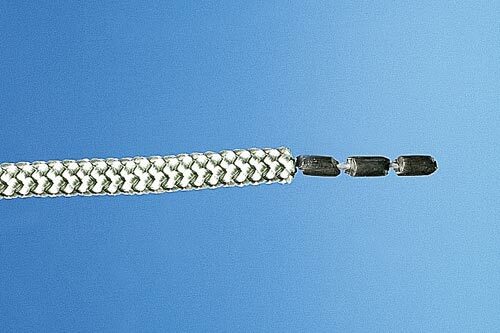 Hau leadline is a strong leadline, made from segmented leadlines in the core – if there is one segmented lead thread it is called a mono leadline and if there are more segmented lead threads it is called a multi leadline. Hau leadline is soft, flexible to work with and at the same time it has high wearing quality. It is manufactured in our own factories. The leadline is available from 6.0 kg to 20.0 kg per 100 meter. Polyester leadline multi is a strong leadline with high wearing quality. 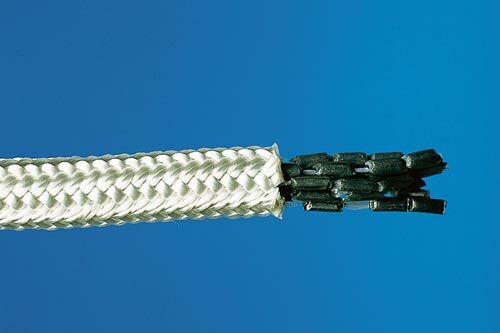 It is made from a core with multiple lead threads and a braided polyester stocking. The polyester leadline is manufactured in our own factory. Polyester has very high breaking strength, this along with the possibility for many lead threads and high weight, makes polyester leadline very suitable for larger nets and trawls working in great depths. The leadline is available in sizes from 8.5 kg to 350 kg per 100 meter. Polyester leadline multi is used for various fishing tools. This leadline is often used for cod nets and also trammelnets. Since it is available in many sizes polyester leadline multi is also suitable for mounting on trawls and breeding nets. PET leadline is a leadline which is a bit tauter than our other leadlines. The stocking is made of braided polyethylene fibres, giving a very strong and resistant leadline. 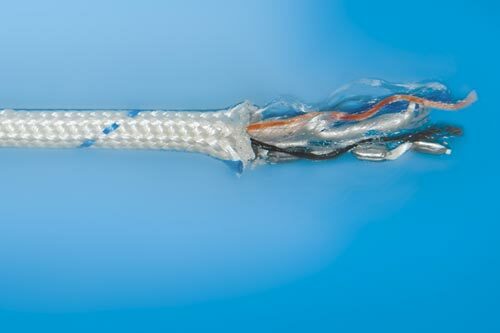 The core is a single lead thread which means this is a mono leadline. It is mostly mounted on fishing nets, used for soft grounds. The leadline is manufactured on our own factory in Estonia. It is available in sizes from 1.2 to 7.1 kg per 100 meter. This type is also known as English type leadline. English leadline is manufactured in our own factory. It is available as both mono and multi leadline, which means one or several lead threads. When braiding PP and PET it gives a reinforced leadline which has both high wearing quality, is flexible and weather proof. A leadline which is very suitable for fishing nets used on great depths. PP leadline is also available in a reinforced quality. The manufacturing of it is the same as PP standard leadline, with a stocking of polypropylene and a segmented lead core. A core thread is then added to the lead core inside the stocking, thus giving a leadline which is a bit heavier and more unbreakable.